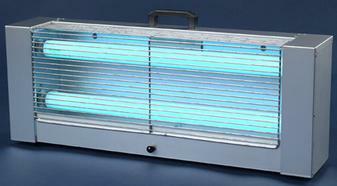 At Dependable Exterminating we sell the major brands of Fly Light Units and accessories. Fly lights, Glue Board Fly Traps and Bug Zappers. 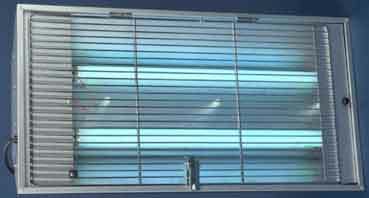 We also provide Fly Light Installation as needed. Let us be your Fly Pest Control company that you can depend on. Give Us A Call Today 1-844-305-8999. 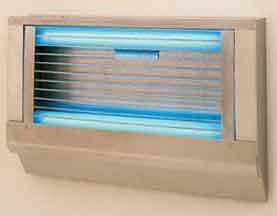 Superior Effectiveness Fly Light Units. 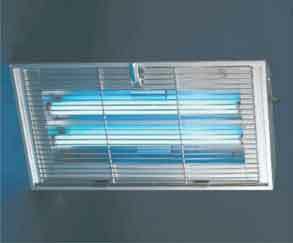 Features a large reflector and open top providing increased attractancy and access for all types of flying insects. Mount low, horizontally (about waist high or lower for best results). Features versatile corner or flat wall-mounting and a wide angle of attraction. Mount low, vertically, top of trap below 5 ft. Effectiveness is similar to a Guerrilla™ or Sticky Tiger™. Features a decorative, tamper resistant front panel which makes it a good choice for entrance foyers / public areas. Versatile corner or vertical flat wall mounting. Removable inner chassis for recessed in-wall installation. Mount low (below 5 ft.). Features compact, space saving design. Basically, it's a short 601T. 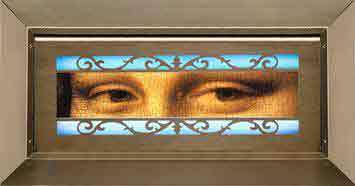 Versatile corner or flat-wall mounting, wide angle of attraction, etc. Mount the Fly Light Units vertically waist high or lower, for best results. Light weight and convenient carrying handle make it ideal for strategic surveillance maneuvers or surgical flywar. Not as powerful as our larger ILTs, but it's multi-purpose design allows it to be used as a free-standing portable, horizontally wall-mounted, or ceiling-hung. Usually, the trap of choice for intercepting night-flying insects. Recommended for all but the wildest of night-flier problems. Hang 8 - 10 feet high or 6 inches above product stacks. Primarily used in shipping/ receiving, areas for Fly Pest Control. 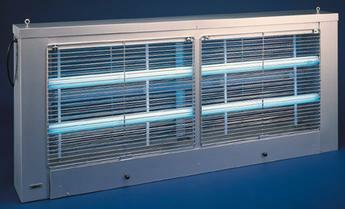 Features large grid area which is effective against night-flying insects prone to large circular flight patterns. Hang 8 - 10 ft high or 6 inches above product stacks. 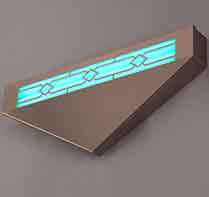 Fly Light Units for wall-mount version, order the Wild Dragon. 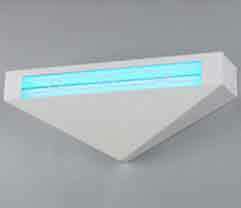 Super-thin, beautiful, silent wall-sconce ILT goes unrecognized in the most elegant of dining rooms, hospital hallways. Mounts horizontally with point down. Slim, Thin, Trap Depth Only 2-3/4"
And, No-Half Board Bend Is Required. Mounts horizontally with point down. 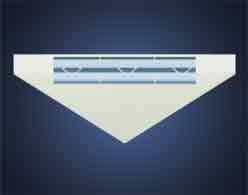 Slim, Thin, Trap Depth Only 2-3/4"
Mounts horizontally with point down. The glueboard version of the legendary Don™. Featuring New Easy Access Tilt-A-Trays™. 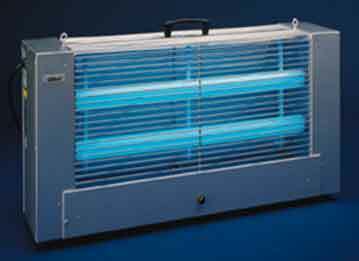 Excellent effectiveness Fly Pest Control, equal to that of the legendary industrial light trap, the Gilbert® 601T Don™. The new Sticky Don™ features the same versatile corner/flat-wall mounting and wide angle of attraction. Both Don™s make flies an offer they can't refuse. is the world's first, serious ILT art. Mounts horizontally. A Gilbert® quality glueboard ILT that corner mounts, mounts flat on a wall (vertically or horizontally), and, when necessary, may even be hung from eyebolts. You can get your Lizard with or w/o wings. These (optional) Lizard wings reduce effectiveness a bit but hide glueboards (and captured insects) from view. A different concealment strategy, black glueboards, are also available. Powerful for its' size, the Tiger can be wall-mounted horizontally (waist high) or used as a portable. Compact trap out-catches competitors whether it's wall-mounted horizontally waist high or mounted under-counter. Stainless steel (including swing-up guard). Amazing glueboard ILT rivals the catching power of a Flying Lion. Mount horizontally waist high or lower, for best results.